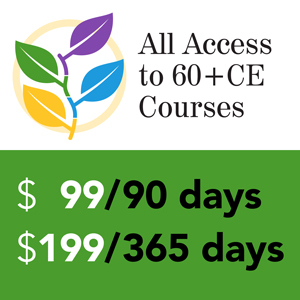 The Certified Retirement Counselor®(CRC®) certification examination is designed to ensure that all CRC® Certificants possess the necessary knowledge and skills to competently fulfill their responsibilities as retirement counseling professionals. The validity of the CRC® exam is dependent upon the Certified Retirement Counselor®(CRC®) Practice Analysis from which the CRC® Test Specifications are created. InFRE conducts the Practice Analysis once every five years to ensure that the CRC® program stays relevant and assesses up-to-date knowledge and skills required to assist consumers with retirement planning decisions. Starting in mid April, we have begun the process of updating the 2008 Practice Analysis. After a draft of the updated Practice Analysis is prepared based on input from more than 30 retirement industry subject matter experts, all current CRC® Certificants will also have an opportunity to complete a survey and share their views regarding suggested changes to the Practice Analysis. It is a very thorough and detailed process that will not be completed until December. The 2013 Practice Analysis update project consultant is Professional Examination Services (ProExam), a company that provides comprehensive and trusted credentialing services in professional certification and licensure. ProExam works across a broad range of professions, industries and institutions. Any knowledge essential to the delivery of services that was not identified in the previous practice analysis study. ProExam and the PATF will spend eight months updating and validating the retirement counselor competencies (domains of practice, tasks and knowledge needed) identified in the 2008 InFRE Practice Analysis Survey of Certified Retirement Counselors®. They will explore the similarities and differences between more- and less-recently certified CRC®s working with a variety of client populations. On average, what percentage of your work time was engaged in this domain in your work as a retirement counselor during the past 12 months? How important are the activities in this domain to your work as a retirement counselor? On average, how frequently did you perform this task in your work as a retirement counselor during the past 12 months? 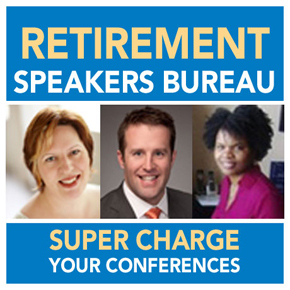 How important is this task to your work as a retirement counselor? What is the primary way in which you use the knowledge in your work as a retirement counselor? At what point should a retirement counselor acquire the knowledge? Analysis of the quantitative survey data by key respondent variables such as setting, and a combination of experience and educational level. Results of the survey will be used by the PATF to finalize the recommended updated Practice Analysis. The study will then be documented in a technical report, submitted to the InFRE Board of Standards and Policy Development for review and approval, and then published as an examination guideline for future CRC® Registrants to use to prepare to sit for the exam. 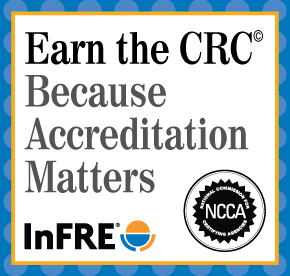 We will send the web-based Practice Analysis validation survey out to CRC® Certificants in September or October, so please keep an eye out for emails from InFRE asking for your help. Please plan to spend 30-40 minutes completing the survey. It is important that we receive your input and feedback. The ongoing credibility of the CRC® certification process and the protection it provides for the public is dependent on all CRC® Certificants contributing to the quality of 2013 Practice Analysis and resulting CRC® exams.